Students from Northam Primary School have been busy cultivating an area at their school to enhance and improve their new nature playground. The nature playground is an area that the School’s P & C Association are developing, to beautify a previously bare patch within the school grounds. Wheatbelt NRM recently supported the school students’ efforts by providing 100 native seedlings for them to plant and nurture. 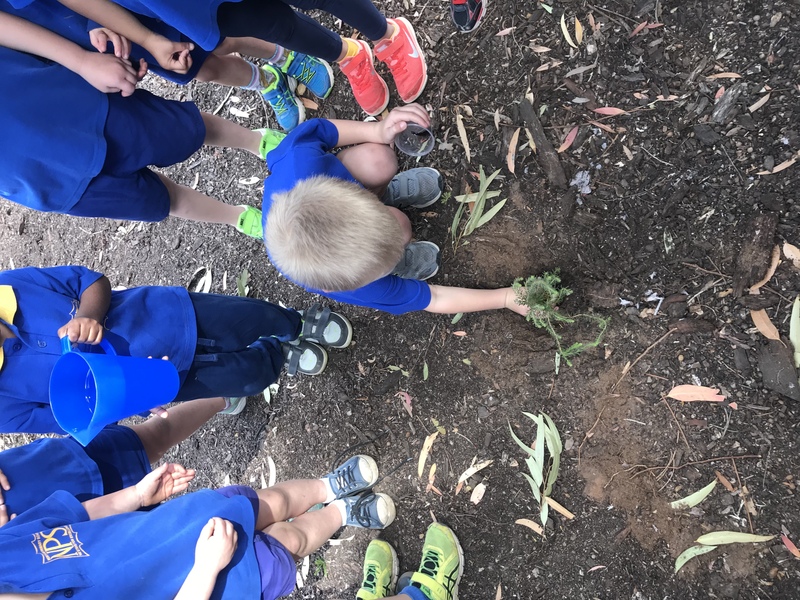 The students were very keen and excited when planting day arrived and, although the activity was coordinated and supervised by their classroom teachers, it was all about the kids taking ownership of the planting and the specially created playground. Pre-primary and Year 2 students, in addition to planting all the seedlings, now water the seedlings on a daily roster basis, conducting regular monitoring of the plants’ growing progress and teaching them responsibility. The aim is also to encourage the schoolchildren to engage and interact with nature by playing in this purpose-designed area, and getting their hands dirty in the process. It is a challenge in today’s technology-filled, test-based educational system and therefore important for kids to get away from electronic devices and head outdoors. Studies have shown that free play in the outdoors is good for social and emotional development, improves self-awareness, and makes children more co-operative. Therefore, that can only mean that children are happier, healthier and get along with others better when they have regular opportunities for free and unstructured play outside. A bird-bath has also been installed and it is envisaged that birds and insects will be attracted over time and the playground will continue to combine classroom-based teaching with experiential education related to science, the natural world and the environment.